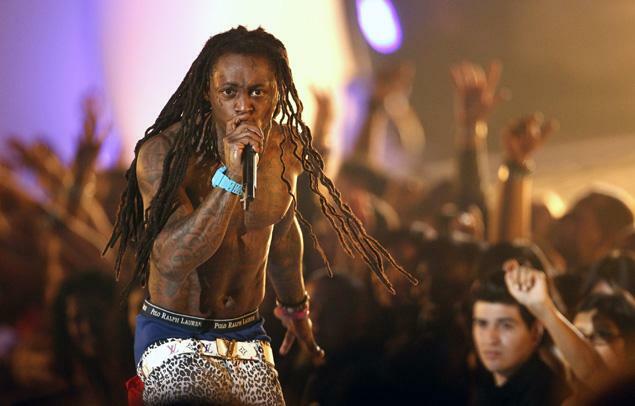 After releasing a diss over the now famed “Harlem Shake” track, Lil Wayne tweeted Pitbull in shock over the jabs thrown. 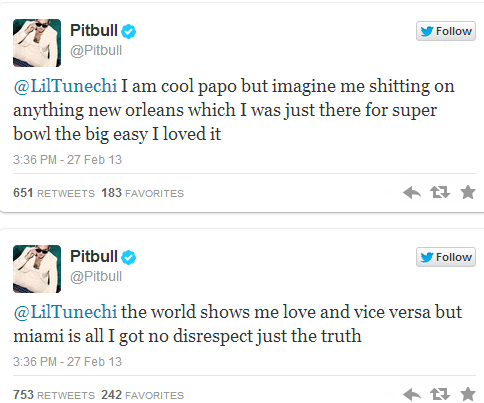 Pitbull responded soon after to further explain his actions. Trinidad James drops the official music video for the remix of his hit song, “All Gold Everything” adding T.I., Young Jeezy and 2 Chainz to it. D4L/G-Unit rapper Shawty Lo teams up with FunHouse Jai Jai to deliver an official music video for “Duffle Bag.” The Sunny D-produced track can be found on Shawty’s new mixtape, I’m Da Man 4. Mike recently sat down with Sway in the Morning to clear up some of the rumors that have been floating around about him. 50 Cent made an appearance on ESPN’s First Take to talk about music’s influence on boxers and his current relationship with Floyd Mayweather Jr. While we wait for his highly anticipated album Muddy Waters II: Even Muddier, Reggie Noble drops of a new music video for “Lookn Fly Too” featuring R.E.A.D.Y. Roc and longtime collaborator Method Man.